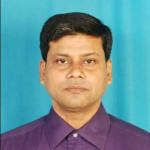 I have done BDS from R V Dental College, Banglalore in 2005. I am practicing in Manyalok Super Speciality Dental Hospital & Magadh Oro Dental & Orthodontic Clinic as a Implantologist & Cosmetic Dental Surgeon Sense 2006. I have done so many cases of RCT, Including Single Sitting Painless RCT, Zirconia Crown & Bridge, Flexible dentures, Full Month Rehabilitation, Dental Implant Placement & Prosthesis, Implant supported Dentures, Cosmetic Dental Treatment Like Teeth Whitening, Dental jewellery, Porcelain/Composite Veneering. Dr. Abhishek Kumar provides answers that are very helpful. Thank u doctor for valuable information..i will discuss with ortho about extraction.. He is the beat doctor,i have ever seen ..so much he had and always think about the comfort of patient...best doctor. I am fully satisfied with extraordinary service and used by latest technology. Manyalok super speciality dental hospital is one of the best hospital for oral cancer diagnosis & treatment & placement of dental implants Dr. Archana rani & Dr Abhishek Kumar are one of the best doctors I have seen . My first implant placed by dr. Abhishek kumar & prosthesis done by dr. Archana rani. Dr. Abhishek kumar is best cosmetic dentist. Magadh Oro Dental & Orthodontic Clinic is one & only place for invisalign Treatment (Orthodontic Treatment with Invisible Braces). My daughter got orthodontic treatment done with invisible braces. Clinic is tie up with dental lab from bangalore , My daughter's impression send to banglore After 15 days she got 4 sets of aligners, every sets of aligner she had to bear for 15 days , with in 6 months only 90% of profile is corrected. Easy to bear. Fully satisfied with results . Recommends this clinic for orthodontic treatment with invisible braces. Went for teeth alignment by invisible aligner. Got more then 50% result in 3 months. Fully satisfied . Hello, I am 18 (m), I got my teeth braced about an year ago and the orthodontist pulled out all for of my premolars and that's been really problematic since then. My teeth are pretty aligned now and the dentist might complete the treatment soon but the gaps of upper teeth haven't fully disappeared. So, I wanted to get teeth implants in place of those premolars, is it possible? definitely your gap will close at the end of treatment. Don't worry, No need to think about implant. He had one hand paralyzed and he had a problem in swelling food as he had not any teeth as doctor neurologist tell no one in Bihar would replace his teeth as hi medicine use blood thinning medicine and he suggested that go to aiims Delhi that only in India that replace his teeth without bleeding gums as another doctor can kill his life in replacement his teeth. It seems patient is taking asprin for making the blood thin. Generally we suggest to discontinue this drug for one week with advice of physician/cardiologist before any surgery. Bettet you consult a physician for it, if he is agree to discontinue we can do the procedure for teeth fixing. Continuous mouth ulcer and yellow urine with hair fall from last three months what would be the reason? Are you taking b complex? If yes then because of it, you have yellow color of urine. Most probable cause of mouth ulcer is deficiency of vit b, zinc or iron, continue with cobadex and a to z for one month, if still your ulcer persist consult physician. My mom is 54 years old and suddenly she has devolved loosening of her teeth. All her life she did have any problems associated with her teeth but now for the past three months she had to remove three of her teeth. Is there any permanent solution for this problem. Help will be appreciated. It is normal process, because of ageing. At this age gingiva & bone supporting the tooth become lose and recede so tooth becomes loose and lost. My sister usually have mouth ulcer she met with many doctors but she got nothing solvable. Please give some valuable information. thank you. Take a couse of multi vitamin &antioxidants (A to Z) for one months take b complex (becosule/ cobadex) for one month. If ulcer still persist go for blood investigation to rule out problems. Today when I woke up. I opened my mouth to yawn. I felt a pain in the jaw joint. Beside my ear. When I open my mouth wide I have that pain. What should I do? You have pain in temporo-mandibular joint. Do not eat hard thing, support your lower jaw with your hand while yawning. You can apply warm water wet with cotton over TMJ. You can take analgesic. If pain persist more then one week consult a dentist nearby you. I have observed a light brown line on back side of my teeth. The dentist has recommended me the scaling. Due to hygiene and sterilisation, I don’t want to have that procedure. Is it safe to have scaling at local places? The instruments may carry bad viruses. I am worried. Yes it is safe. In clinic we use to sterllize eatch & every instrument in autoclave. If you have dought you can ask about it before the procedure done. Hi, I have small upper front teeth. What can I do to get them of the size of other teeth? You can go for ceramic crown if maderate size diffetence or laminates if there is mild size difference. I am 25 year male, I have mouth and tongue ulcers 3-4 times every year mostly. What is the reason, prophylaxis and treatment. Most common cause of frequent mouth ulcer is difficiency of vit b 12, please take becosule, for 15 day, take multi vitamin for 15 day, if still ulcer repit consult local dentist.